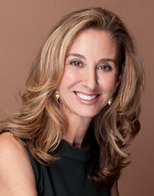 RACHEL A. SUSSMAN, LCSW, is a licensed psychotherapist, relationship expert, writer and lecturer. She is the founder of Sussman Counseling, a psychotherapy practice based in New York City, specializing in treating couples and individuals with relationship dilemmas. She is the author of THE BREAKUP BIBLE: The Smart Woman’s Guide to Healing from a Breakup or Divorce (Random House). Recognized nationally as a relationship expert, Rachel has appeared on the “Today Show”, “CBS Early Show”, “Good Morning America”, “Katie’s Take” with Katie Couric, CNN, Martha Stewart Radio and NPR. She has been featured in The New York Times, The Wall Street Journal, The Washington Post and The Huffington Post. She is a contributor to many leading magazines including Cosmopolitan, Glamour, Marie Claire, Redbook, Woman’s Day, Working Mother, Self, More, and Consumer Reports. Rachel serves on the advisory board for Shape Magazine. Rachel consults with companies to discuss, predict and interpret relationship trends. She has worked for L’Oreal, Cosmopolitan, Citibank, Paramount Pictures, Advil, Destination Maternity, Estroven, Credit Karma, Maggie London and various dating sites including JDate and Christian Mingle. Rachel earned a B.S. from Emerson College in Communications. She graduated with honors from New York University with a Masters Degree in Psychology and received post-graduate training in Marriage and Family Therapy. Before becoming a therapist in NYC and creating Sussman Counseling, she was a senior executive and partner in an international corporation.